We have a new look at Captain America’s suit for Avengers: Endgame. The very deadly conclusion of Infinity War, which saw Thanos wipe out literally half of all life in the entire universe, including a bunch of our beloved Marvel heroes, made it so only a relatively small number of people, including Captain America, were left to avenge their fallen brothers in arms. It appears as though Cap is going to be rocking a new suit, in addition to a clean-shaven face, come time for round two with the Mad Titan. The new look doesn’t come from the most ideal of sources, as it has been revealed via a new LEGO figure of Captain America that will be included in one of the sets released in conjunction with Avengers: Endgame later this year. But still, we get an idea of how Steve Rogers, once again portrayed by Chris Evans (Maybe for the last time, maybe not) is going to look. The suit is comprised of white, red and blue and we’ve seen similar suits appear online, teasing a themed team look for other members of The Avengers, including Thor and Rocket. 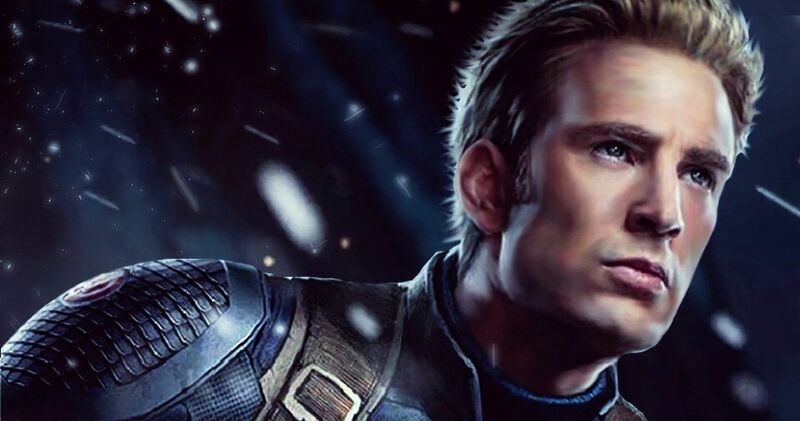 In the Avengers: Endgame trailer, we saw Cap rocking what looked to be the same, if not a very similar outfit, to the one he worked in The Winter Soldier. Thus far, that has been a fan-favorite look for the character. This new look, even though it’s currently put through the filter of a LEGO figure, would be quite a bit different, but then again, we’re expecting a lot to change within the runtime of this movie. If we can deal with Cap shaving his glorious beard, we can surely accept a new costume. To say the very least, this movie is going to have a lot to accomplish. Not only are directors Joe and Anthony Russo going to have to satisfyingly explain how, and perhaps more importantly why, many of the characters who were dusted by Thanos are brought back, but this is going to be the final movie in Phase 3 of the MCU. Many of the actors we’ve come to know and love are going to be moving on after this. So it’s going to serve as a goodbye as well for at least a few heroes we’ve come to love. Plus, we’ve got to have a satisfying rematch with Thanos and who knows what else. It’s a lot to handle. It’s helpful, then, that the Russo brothers have stated that the movie is currently clocking in at nearly three hours and could wind up in theaters near that length. Kevin Feige also, rather intriguingly, hinted that the marketing for the movie won’t show us much beyond the first 20 minutes or so of the movie. So we’re going to have to wait until Avengers: Endgame hits theaters on April 26 to find out what Marvel has in store for us this time around. Feel free to check out Cap’s new look from the Mario Power Instagram page below.